Facebook made a big announcement on Sunday December 5th about changes they are making to the layout of the profile pages. While the changes may seem very subtle to your news feed and fan pages, there are some very significant changes to how the Facebook Wall looks and acts. The biggest change is that photographs play a bigger role in defining your profile and who you are. In the research that Facebook did, they found that users where using the site to upload and share photos more than any thing else. You will see more and bigger photo images on your profile’s wall. Profile pictures of your friends are also more prominently displayed on the wall. The second big change is that the wall now highlights connections between you, your friends, and other friends connected to a profile. Facebook is using this to build new, better, and more meaningful relationships with its users and their friends. You’ll be able to use this to connect to more people and develop common interests with your friends. These new changes are not being rolled out all at once, but instead are offered on an opt-in basis. 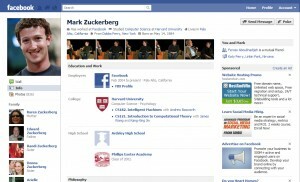 To preview and start using the new Facebook profile, please follow this link. 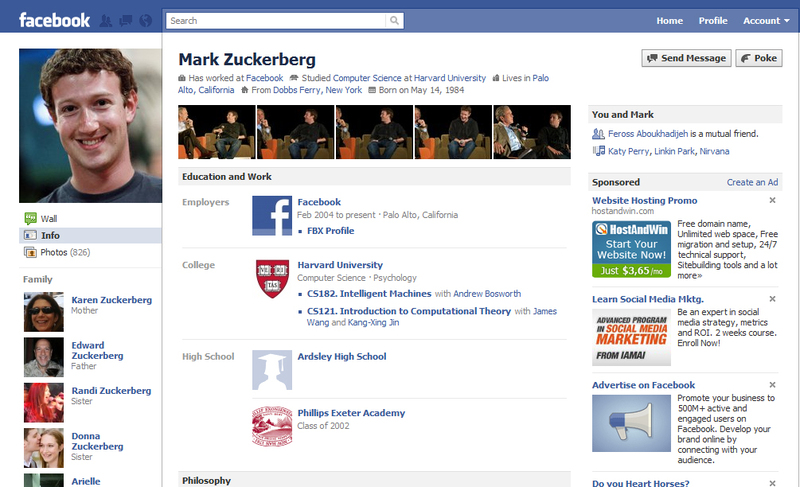 On a side note, the new style of Facebook profiles make them less suited for business use. Businesses really should take advantage of the power of Facebook by creating a Business Page. Details on why this is important will be my next post. Increase your Facebook engagement: ask a question!